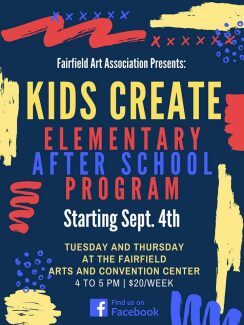 The Fairfield Art Association is very excited to sponsor a whole new “KIDS CREATE” series of art classes. The talented Emily (Poole) Cantafio will lead the variety of classes through out the year in the FAA studio. Emily is a Fairfield native, who grew up loving visual and performing arts. She was a member of GOVAP, speech team, Iowa Thespians and her senior year attended Boise, Idaho where she graduated Valedictorian at this visual and performing high school. 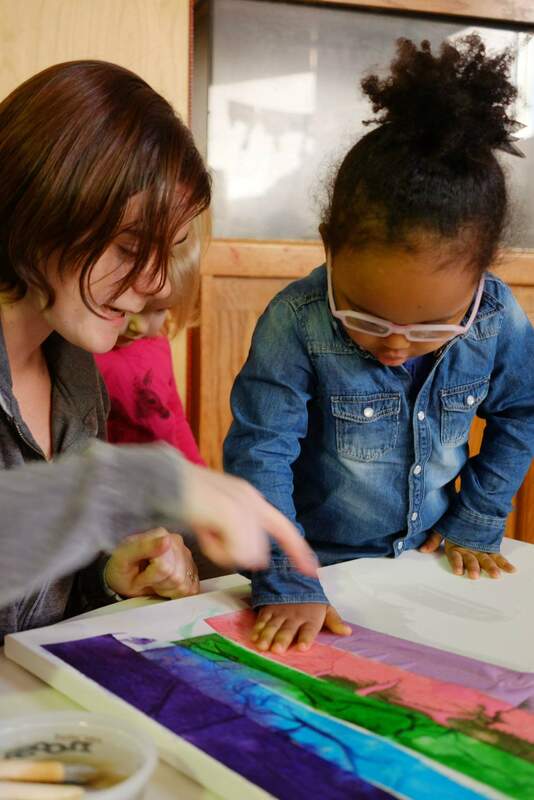 She studied music at Columbia College Chicago and after graduation became a teacher for Lillstreet Art Center’s children’s program, and art director for Rainforest Learning Center, both in Chicago. Emily is currently Art Director for K-8 at Maharishi School, and you can see her perform locally on a variety of stages.Future Kid’s Create classes with Emily will include elementary after school program for 1st – 2nd grades and 3rd – 4th from 4-5 pm, dates to be announced. Holiday and seasonal workshops with parents will be planned and Toddler Classes, as well as themed Birthday Parties.